The Nox-Crete team is on the road in 2017! Join us in South Hall booth S11439 to learn more about Clean Line Reveal - an innovative and cost effective reveal/rustication product designed to maximize the architectural aesthetics of buildings using tilt-up and/or pre-cast construction techniques. Lightweight and durable – Clean Line Reveal is a fraction of the weight of typical wood reveals and provides unique durability to construction traffic due to its composite “strut” design. High Density PVC material and white color make it largely unaffected by climatic changes. 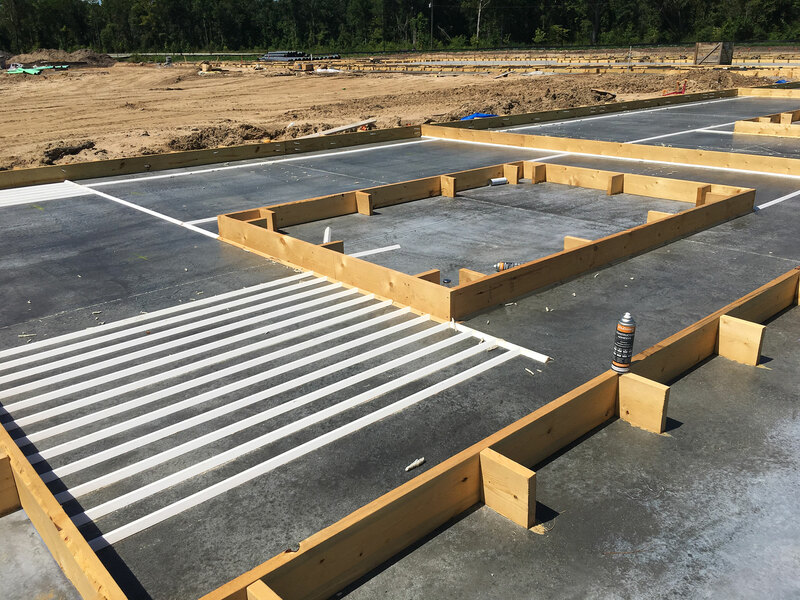 Easy Installation – Clean Line Reveal is installed using a custom formulated adhesive to maximize adhesion between a cured concrete casting slab and Clean Line Reveal. No more time consuming drilling and fastening of wood reveals to floor slab, resulting in a floor slab requiring unsightly patchwork repairs. 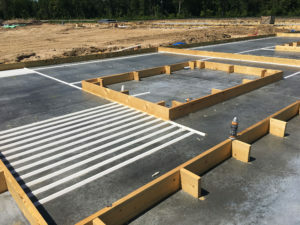 Clean Release – Clean Line Reveals maintain their extruded dimensions, regardless of climatic conditions and remain on the floor when tilt panels are lifted, thereby eliminating costly rental equipment and “sack & patch” work to the panel face. The more conventional wood reveals are susceptible to moisture swelling and can leach sugars onto the concrete panel face, resulting in discoloration of the panel face and the wood reveal “stuck in the tilt-up panel”. Cost Savings – Installed cost of Clean Line Reveal provides significant cost savings by reducing labor and equipment rentals through its ease of handling, clean release, and minimization of wall and floor slab repairs. Premium Architectural Aesthetics –Sharp lines from an extruded profile ensure consistency in appearance and cleanness of lines. Multiple profiles available to satisfy your imagination. We'll have a display of Clean Line Reveal at our World of Concrete booth. See you in Vegas! This entry was posted in New Products, Nox-Crete Blog, Tilt-Up on January 4, 2017 by Aaron Nussbaum.